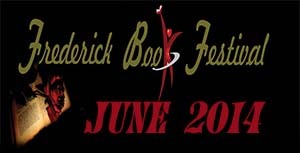 I have completed my registration for the Frederick Book Festival!!!!! Now, the downer is that I probably won’t be able to make the Gaithersburg Book Festival. But from the little bit of investigating that I have been doing, my work would be a better fit in Frederick… besides, my daughter and I had a BLAST last year in Frederick. Now I’m waiting on a couple of things before I get my final confirmation. Then it’s going to be full-speed ahead for the next few months. Every spare dime I get is going to go towards getting books, swag, and other items. If anyone has any tips, please share. I’m open to all suggestions, and I’ll be sure to share my experience with you all!!!! See ya in the Funnies!!! !